Join the 100 Black Men of Savannah (www.100blackmensav.org) for the 23rd annual Scholarship Gala – an evening of elegance to raise funds for the community outreach programs, scholarships for deserving students and an opportunity to showcase what the 100 BMOS have been instilling into the community the past year — Saturday, April 20, 2019 from 6:00 pm – 10:00 pm at the Savannah Marriott Riverfront, 100 General McIntosh Blvd. The 100 BMOS are dedicated to supporting minorities in Savannah by assisting the youth with education, mentoring, economic empowerment, and health & wellness. This is the chicest black-tie event of the season. The scholarship gala is a night of support, giving back and fun. Guests will enjoy live entertainment, silent auctions, and raffles along with food and a program. 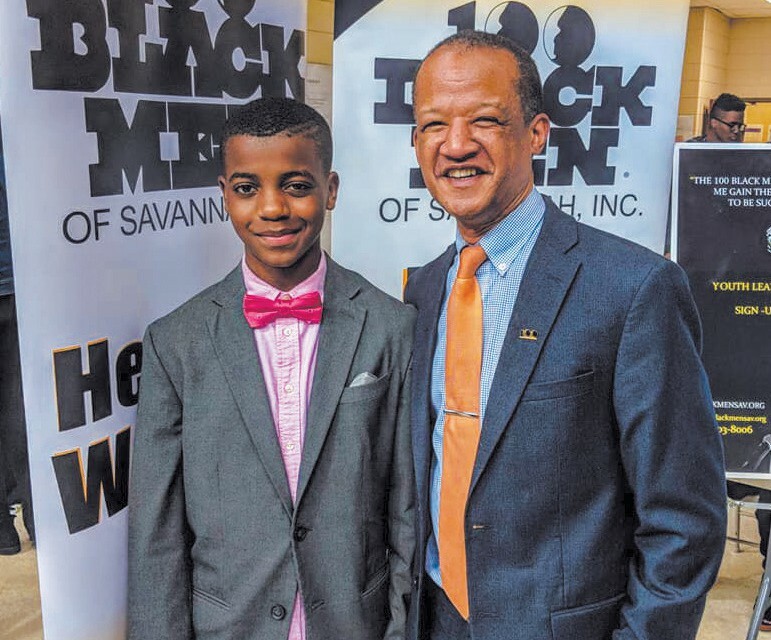 Inspired to meet the growing needs of the Savannah community, the 100 Black Men of Savannah (100 BMOS) was created to focus upon African-American youth and aims to make a difference in the lives of Savannah’s young people by its signature programs of mentoring, education, economic empowerment, health & wellness, and leadership development. The 100 BMOS fill the gaps of critical needs in the community by participating in constant community service that aids in implementing the pillars of the 100 BMOS into the community. Through its efforts, every member of the 100 BMOS is given the opportunity to interact with the community through the Youth Leadership Academy, academic field trips, interacting with the collegiate chapters, and many more stellar opportunities. Join us for an evening of elegance and entertainment! This year, we are presenting community awards and honoring those who have enhanced the Savannah community through their selfless acts of kindness and generosity. Since 1994, the 100 BMOS have built a strong reputation for making the community a better place by hard work, innovative solutions and an unwavering commitment to mentoring and empowering Savannah’s young people. All proceeds benefit the outreach programs of the 100 Black Men of Savannah (100 BMOS), which is an IRS recognized 501 (c)3 tax-exempt non-profit organization.